Immunotherapy has taken the oncology field by storm. Several approved drugs, such as the “checkpoint inhibitors” Keytruda® and Opdivo®, have revolutionized the treatment of some cancers. Checkpoint inhibitors work by interfering with immune-suppressive processes, essentially “taking the brakes off” the immune response. However, these drugs only work in certain cancers, and even in these cancers, they only work in 20% to 30% of patients. Also, checkpoint inhibitors can provoke strong immune responses against normal cells, causing autoimmune diseases in addition to other drug-related adverse toxicities. Another approach comes from the group of “personalized” immunotherapies, for example, Provenge and CAR-T, which may be more specific and have demonstrated clinical benefit. Their downside is that they are extremely difficult to make, requiring that each dose be manufactured for each patient, a time-consuming and costly process. Individualized manufacture inevitably makes these therapies extremely expensive and limits the number of patients who can be treated. Therapeutic cancer vaccine therapy has been a compelling strategy, with demonstrable immune responses against cancer antigens. But to date, their clinical effectiveness remains unestablished, Provenge being the exception. There is a clear need for ways to stimulate effective cancer-specific immune responses while avoiding time-consuming and costly individualized manufacturing. Current understanding of immune cytotoxicity favors a process mediated by CD8+ T-lymphocytes, although important contributions by CD4+ lymphocytes, NK cells, antibodies, and other mechanisms are not discounted.2 Several reports demonstrate up-regulation of tumor-specific cytotoxic T-lymphocytes following targeted immunotherapy; a change that occurs despite the abundance of antigen that must already be circulating in patients with cancer. The development of an immune response may be amplified by certain cytokines, such as granulocyte-macrophage colony-stimulating factor (GM-CSF), which has been used for protecting bone marrow during intense chemotherapy. It is now being studied intensively as a means to support immunotherapy, in particular by using cancer cell lines genetically modified to produce GM-CSF.3 Transfected cell lines have several important advantages over injections of GM-CSF, especially their local release of GM-CSF at the site of inoculation and the smaller and perhaps more persistent amounts of the cytokine. At this time, clinical application of GM-CSF-producing cancer cell lines has not been widely successful.4 Adaptive immunity includes a humoral component (antibodies) and a cellular component. The cellular component can be further divided into HLA Class I restricted CD8+ T cell responses, which includes cytotoxic T lymphocyte (CTL) responses and HLA Class II restricted CD4+ T cell responses, which include helper T cells that act to boost both the humoral and CTL responses. The effectiveness of cell-based cancer immunotherapies likely is dependent on how well these arms of the immune system are activated. Developing a therapy that activates both the cellular and humoral immune responses and that also somehow addresses the patient’s particular “restricted” HLA signature may be an effective strategy. 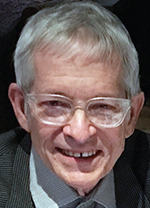 Charles Wiseman, MD, has worked for many years developing and evaluating a variety of cancer cell lines for their efficacy to boost immune responses and hopefully induce clinical improvement. Working first at MD Anderson Hospital in Texas, and then at Saint Vincent’s Medical Center in California, Dr. Wiseman used irradiated tumor cell lines to induce anti-tumor immune responses in a variety of cancer patients with some clinical success. 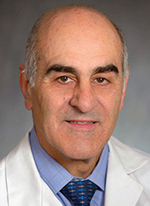 Together with Dr. Alex Kharazi, his team developed a breast cancer cell line, SV-BR-1, established from a chest wall lesion of a 36-year-old woman with widely metastatic breast cancer. SV-BR-1 was used in an FDA-approved Phase I trial in subjects with advanced breast cancer, refractory to community-standard chemotherapy. The program utilized both intralymphatic and intradermal routes, and in some cases, using irradiated SV-BR1 admixed with patient peripheral blood lymphocytes. Subjects received low-dose cyclophosphamide prior to inoculation (to reduce immune suppression); GM-CSF (125 μg) was injected subcutaneously concomitantly with SV-BR-1 then repeated daily to total 8 doses. The regimen was administered every 2 weeks for the first month and then once a month. Overall, 54 treatment cycles were administered to the 14 patients (median of 3 cycles with a range of 2 to 7). The treatment was generally safe and well-tolerated with most adverse events mild, and these consisted principally of erythema and pruritus at the intradermal injection sites. Immune responses were monitored, including evaluation of delayed-type hypersensitivity (DTH) to the irradiated SV-BR-1 cell line (1 million cells intradermally into the forearm) and by looking at antibody responses to the SV-BR-1 cell line using a whole cell ELISA. In the 14 patients, 5 developed a 2x to 4x increase in antibody titer on ELISA. Of 6 patients who had DTH testing pre- and post-dose, 3 had evidence of enhanced cellular immunity following treatment. While none developed an objective response, the mean Kaplan-Meier survival was 17.2 months (median = 9.5 months) at the time of the publication. Six patients survived more than 12 months.5 The comparable expected survival of patients receiving rescue therapy is usually cited as about 6 to 12 months. Dr. Wiseman’s team then engineered SV-BR-1 to express GM-CSF (now termed SV-BR-1-GM, a.k.a. Bria-IMTTM). This transfected line was used in a similar regimen to treat 4 additional patients with advanced cancer. The regimen also included low-dose cyclophosphamide. To challenge multiple lymph node bearing areas, Bria-IMT, 20 million cells, were divided and injected intradermally into 4 sites (right and left shoulder, right and left thigh). Approximately 2 and 4 days later, interferon alpha-2b (10,000 U) was injected into each inoculation site to further amplify possible responses. As in the prior study, dosing was every 2 weeks for the first month and then monthly up to 5 months (6 cycles). A particularly remarkable response occurred in a 58-year old woman with metastatic breast cancer initially presenting as superior vena cava syndrome. She was treated initially with doxorubicin and cyclophosphamide and developed a complete remission. Then she was placed on maintenance letrozole while regional irradiation (5800 cGy) was directed to sternal and node-bearing metastatic sites. Nineteen months later, she was noted to have recurrent breast, lung, and other metastases. Letrozole was discontinued. One month later, repeat imaging documented worsening of the pulmonary lesion. The Bria-IMT regimen was started. The protocol allowed a total of 6 cycles over 5 months. Reimaging demonstrated the right breast lesions were markedly diminished, the lung lesions were absent, the right axillary lesions were absent, and the left axillary lesions and the sternal lesions were less prominent. Inoculations were discontinued as required by the protocol. 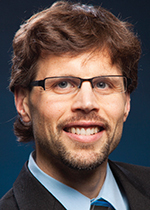 Dr. Markus Lacher, PhD, joined Bria-Cell in 2015. He asked what differentiated this patient from others, and what characteristics of Bria-IMT could be driving this response. He performed transcriptome profiling on Bria-IMT and HLA typed the patients and the cell line. He noted that the responding patient matched the cell line at HLA-DRB3*02:02, an HLA Class II allele. He further noted that Bria-IMT not only expressed HLA-DRB3 mRNA, but also other molecules needed to present antigens to HLA Class II restricted T cells.7 Cancer cell lines usually don’t express HLA Class II molecules. This characteristic is likely unique and may account for the potency of Bria-IMT, suggesting that Bria-IMT may activate CD4+ cells by virtue of the presence of the Class II HLA allele. The proposed mechanism of action of Bria-IMT is shown in Figure 1. 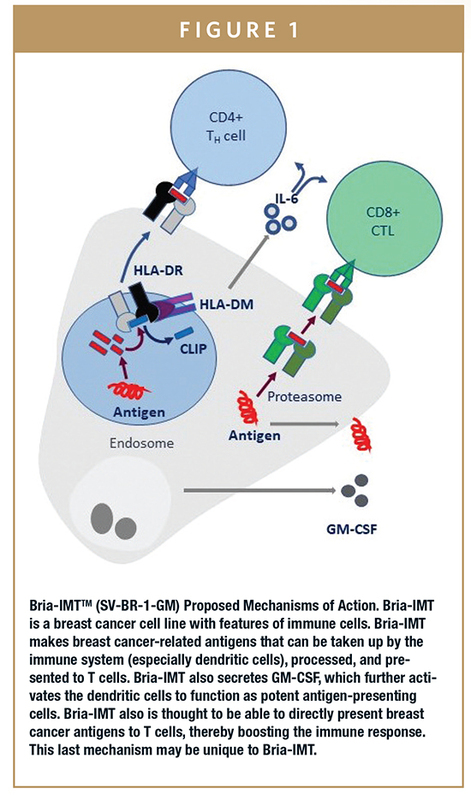 This mechanism has not been demonstrated for other whole-cell immunotherapies and may be key for the Bria-IMT success. 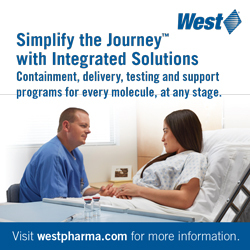 Bria-IMT is currently in clinical development for advanced breast cancer. In the first 6 patients accrued, one subject, heavily treated and refractory after receiving 8 different agents, had virtually complete regression of 20 pulmonary lesions 3 months into the program. At 6 months, there was essentially no change, but liver and bone lesions, stable at 3 months, had then progressed. This response was particularly noteworthy as the patient shares two HLA alleles with Bria-IMT, one Class I and one Class II, a further support to the hypothetical need for HLA matching. Treatment has been generally safe and well tolerated. In addition to the current clinical work, BriaCell is also now modifying the SV-BR-1 cell line to express additional Class I and II HLA alleles that can then be matched to individual patients. The strategy is shown in Figure 2. 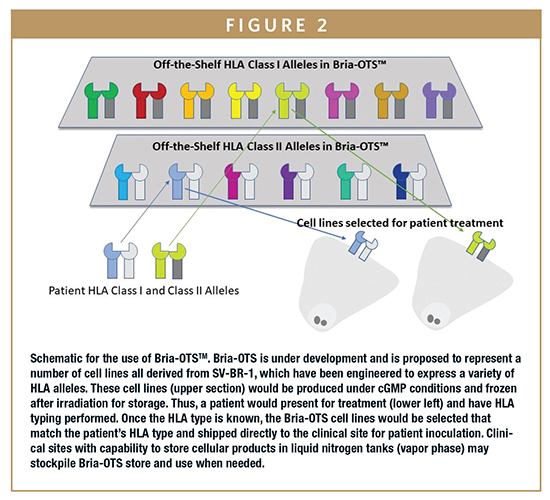 Because the cell lines can be frozen in a viable state after irradiation, it will be possible to provide this targeted immunotherapy “off-the-shelf”, a personalized immunotherapy without the need for personalized manufacturing. The development of effective targeted immunotherapies is a large unmet medical need. The promising results seen with the whole-cell targeted immunotherapy, Bria-IMT, and the elucidation of the proposed mechanism of action, paves the way for new treatments for breast cancer with potential extension into other tumor types. Anderson CC, Matzinger P. Danger: the view from the bottom of the cliff. Semin Immunol. 2000; 12(3):231-8; discussion 257-344; Brown BD and Lillicrap D. “Dangerous liaisons: the role of “danger” signals in the immune response to gene therapy.” Blood. 2002; 100(4):1133-40. Morse MA, Lyerly HK, Clay TM, Abdel-Wahab O, Chui SY, Garst J, Gollob J,Grossi PM, Kalady M, Mosca PJ, Onaitis M, Sampson JH, Seigler HF, Toloza EM, Tyler D, Vieweg J, Yang Y. Immunotherapy of surgical malignancies. Curr Probl Surg. 2004;41(1):15-132; Hicks AM, Willingham MC, Du W, Pang CS, Old LJ, Cui Z. Effector mechanisms of the anti-cancer immune responses of macrophages in SR/CR mice. Cancer Immun. 2006; 6:11. Greten EF, Jaffee EM. Cancer Vaccines. J. Clin. Oncol., 1999, 17, 1047-1060. Le DT, Lutz E, Uram JN, Sugar EA, Onners B, Solt S, Zheng L, Diaz LA Jr, Donehower RC, Jaffee EM, Laheru DA. Evaluation of ipilimumab in combination with allogeneic pancreatic tumor cells transfected with a GM-CSF gene in previously treated pancreatic cancer. J Immunother. 2013;36:382-9. Wiseman, C. L.; Kharazi, A., Phase I study with SV-BR-1 breast cancer cell line vaccine and GMCSF: Clinical experience in 14 patients. The Open Breast Cancer Journal, 2010, 2, 4-11. Wiseman, C. L.; Kharazi, A., Objective clinical regression of metastatic breast cancer in disparate sites after use of whole-cell vaccine genetically modified to release sargramostim. Breast J 2006, 12, 475-80. Lacher, M.D., Bauer, G., Fury, B., Graeve, S., Fledderman, E.L., Petrie, T.D. Coleal-Bergum, D.P. Hackett, T., Perotti, N.H., Kong, Y.Y., Kwok, W.W. Wagner, J.P. Wiseman, C.L. and Williams, W.V. SV-BR-1-GM, a Clinically Effective GM-CSF- Secreting Breast Cancer Cell Line, Expresses an Immune Signature and Directly Activates CD4+ T Lymphocytes. (under review). Dr. William V. Williams, President and CEO of BriaCell Therapeutics, is a seasoned biopharmaceutical executive with over 35 years of industry and academic expertise, including significant clinical management in multinational pharmaceutical companies. Dr. Williams served as VP of Exploratory Development at Incyte Corporation from 2005-2016. There, he facilitated entry of over 20 compounds into the clinic, including ruxolitinib (Jakafi), baricitinib, and itacitinib. 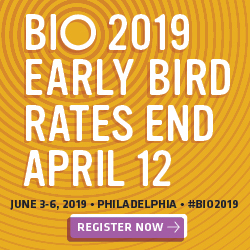 He was responsible for establishing proof-of-concept in several therapeutic areas, and has been involved in numerous new drug applications (NDAs) for therapeutics that achieved marketing authorization in multiple therapeutic areas including oncology. This includes Jakafi for myelofibrosis and polycythemia vera and baricitinib for rheumatoid arthritis. 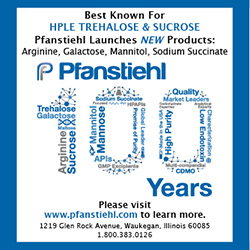 Dr. Markus Lacher is Senior Director, R&D, at BriaCell Therapeutics, joining the company in July 2015. Previously, he served as a Senior Clinical Scientist, R&D at Cesca Therapeutics, Inc., a clinical-stage autologous cell therapy company, where he played a lead role in the bone marrow transplantation program. Dr. Charles L. Wiseman is Director of the Board and Co-Founder of BriaCell Therapeutics, bringing more than 40 years of academic and clinical experience to the company. As Co-Founder of BriaCell, he is the inventor for most of the company’s intellectual property and actively participates in its ongoing technology development.